Depending on the price point this could be very interesting. Shenzhen, China (January 15, 2019) -- Mooer will be unveiling a final prototype of a brand-new addition to their series of multi-effects processors for guitar, at the 2019 winter NAMM show. 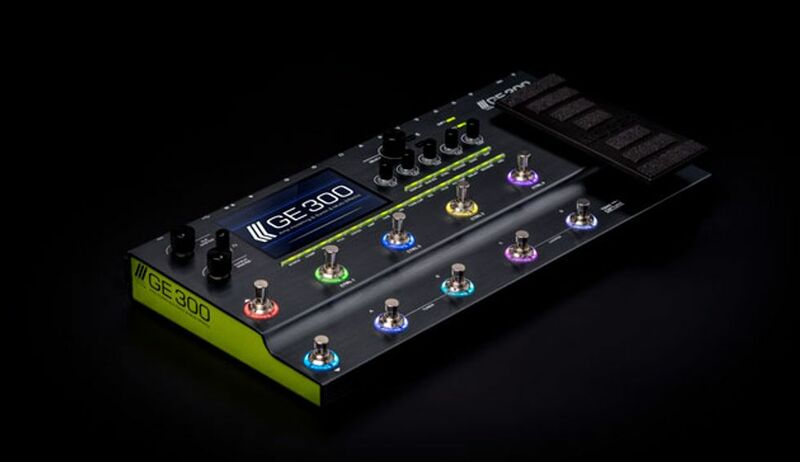 The GE300 will be the new flagship model from Mooer and sports 108 digital amp models based on Mooer’s non-linear amp modeling tech that provide a diverse range of incredibly accurate tones and 164 high quality effects that cover all the bases from your favourite stompboxes, plugins and studio rack units. 43 optional factory cab sims will come pre-loaded into the unit but it also has a full featured IR loader, capable of hosting all your favourite impulse responses that can be up to 2048 sampling points each. An inspiring and unique feature Mooer have integrated into the GE300 is synth engine. A tri-voice polyphonic synthesis module, which can transform your guitar into an electronic synthesizer without the need of special pickups or instrument modifications. Each voice has options for wave form, pitch, filters and arpeggiators. Tone Capture, which debuted on the Preamp Live from Mooer in 2018 is also included in the GE300, but this time it has three different modes. Amp mode allows you to sample and capture your real-life amplifier. Guitar mode enables you to capture the EQ characteristics of your instrument and cab mode provides an all-in one solution to sample speaker cabinets and create your own IR files. All of these elements are packaged together with a whole host of professional control features and I/O options that you wouldn’t necessarily expect to find on a unit in this price range. Such as 10 customizable footswitch controls, programmable stereo effects loop, 30-minute looper station with storable loop sessions, external device switching, direct USB audio and much, much more…. Although the GE300 is quite a complex machine built around two Sharc DSP chips and an NXP crossover processor, it has an intuitive UI based on a similar user experience that can be found on their GE200 unit which proves for fast and easy programming of presets. Be sure to stop by booth #4330 in hall D to check it out and take one for a spin. GE200 is selling at £239, so.... £339?